Streamline virtual care from referring sites with an all-in-one mobile telemedicine system. 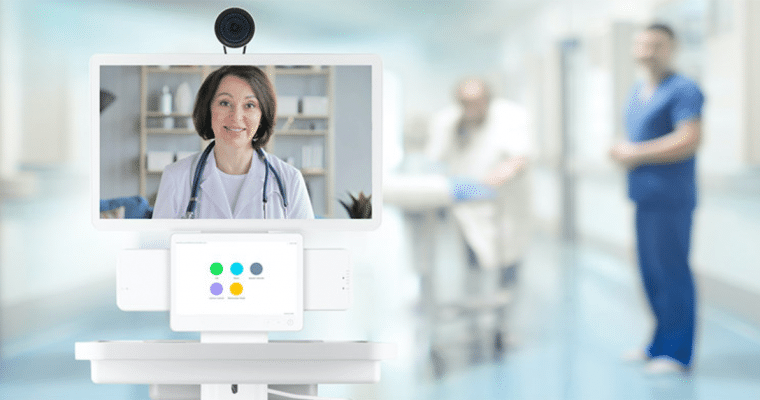 The American Well C210 Telemedicine Cart is an FDA Class I registered medical device designed to create an immersive patient experience with primary and specialty providers throughout the care continuum. 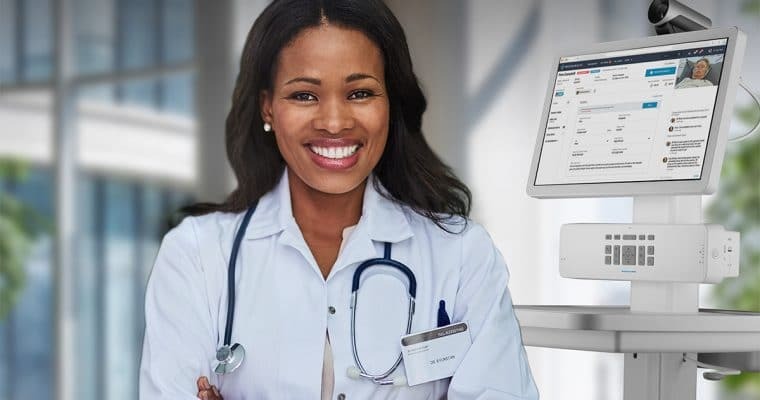 Equipped with a touch screen interface, amplified audio, integrated peripheral support and Wi‑Fi, on‑site care teams can quickly initiate a telehealth consultation between patients with one or more remote providers. The C210 Telemedicine Cart can be configured to sit on a tabletop, attached to a cart, mounted to a wall or inside an ambulance, adapting to the needs of your referring sites and clinical use cases. A 10x zoom 720p Pan‑Tilt‑Zoom (PTZ) camera is available to enhance video quality and control to improve the ability for remote providers to diagnose patients. Remote providers can use enhanced Far‑End‑Camera‑Control (FECC) with this PTZ camera for point‑click‑zoom operation. 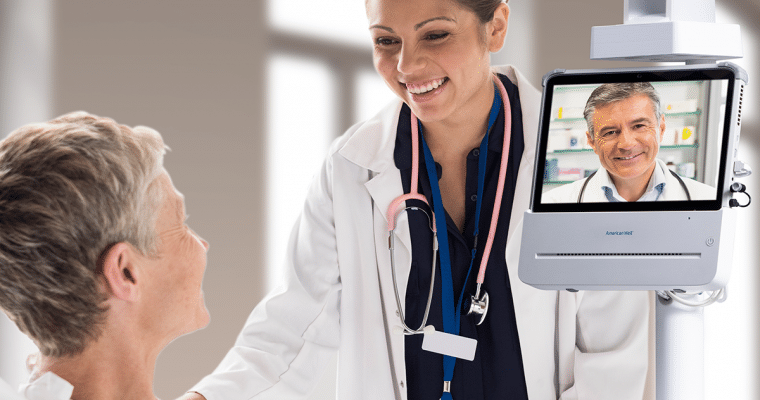 A mobile telemedicine device equipped with a clinically‑focused touch interface to streamline patient intake, start a video consultation, and share diagnostic data – all controlled with a few taps. Dedicated ports on the cart's cradle support plug and play telemedicine peripheral devices to share images, video and sound in real‑time – enabling remote specialists to deliver quality patient care. Track the status of your mobile telemedicine systems and proactively respond to support needs through a secure online dashboard to ensure your telemedicine services are always available.